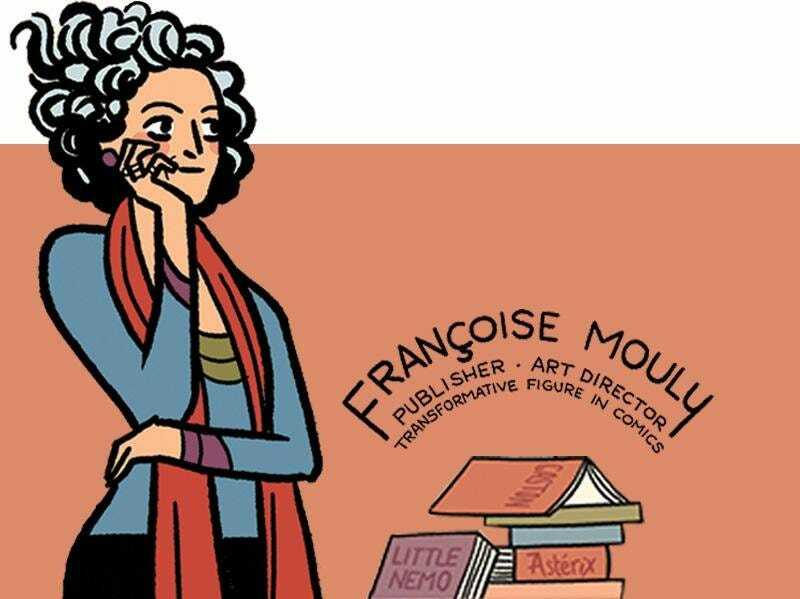 This year’s Smithsonian American Ingenuity Award in Education went to Françoise Mouly because “comics are a gateway drug to literacy.” She is a legendary publisher and possibly America’s greatest advocate for literacy. Her story is illustrated by Eleanor Davis and expanded upon by Smithsonian Magazine. JMG: What’s the best part of being a publisher? FM: I can make books happen without having to explain and justify. The other thing is that if I had been picked up by one of those big houses, that would have been the end of me. I would have been wiped out because I launched in 2008, just when the economy collapsed. So guess what would have been the first thing to go. JMG: Are the books accomplishing what you set out to do? FM: Yeah, the feedback we have gotten from the teachers, how well it works. I was talking to someone, she loves books, her kid loves books, but her granddaughter who is 8 years old basically was like, “Eh, that’s not my thing.” I sent her a set of Toon Books because she was always advocating for reading and it was just breaking her heart. The granddaughter took [the books], locked herself in a room, and then after that was like, “Grandma, let me read this aloud to you.” She was reading in the car, taking a book everywhere, taking it to the restaurant. She wanted to read to them all. JMG: Is there an electronic future for these? FM: One of my colleagues was saying e-books replaced cheap paperbacks and maybe that’s good. A lot of this disposable print can be replaced by stuff you didn’t want to keep. But when I read a book, I still want to have a copy of the book. I want it to actually not be pristine anymore, I want to see the stains from the coffee – not that I’m trying to damage my book, but I want it to have lived with me for that period of time. And similarly, I think that the kids need to have the book. It’s something they will hold in their hand, and they will feel the care we put into it. The moment I was so happy was when a little girl was holding one of the Toon Books, and she was petting it and closing her eyes and going, “I love this book, I love this book.” The sensuality of her appreciation for the book, I mean, that’s love. JMG: What’s next? What do you do after all this? FM: I’ll find that as I am doing it. When we launched the Toon Graphics, I didn’t realize that we would do books for 8- to 12-year-olds and there would be a book of fantasy and there would be a fairy tale and there would be Greek mythology. Now I’m looking back on it and saying, “Oh my God, we’re hitting all of the stories that we all need to have and share.” I’m still figuring it out one book at a time. The Toon Books catalog boasts a diverse collection of authors from veteran creator Neil Gaiman to a recent participant in the all-ladies sweep of this year’s Ignatz Awards, Lilli Carré.